Home »Oriental and Persian Rugs: What’s the Difference? Over the years, we have been asked by many of our customers various questions about their rugs and tapestries, and we’ve always been happy to share our knowledge with those still learning about the art of rug weaving and other topics related to their collection and curation. At times, there have been instances where we have even had to perform some research on an inquiry, which has allowed us to further explore the vast world of carpets and rugs. Today, we answer one of the questions we receive the most from our clients, hopefully shedding some light on the differences found between Oriental and Persian rugs. You’ve often heard the phrase, “location, location, location” in conversations about business, but the same holds true for rugs as well. One of the foremost methods of differentiating an Oriental rug from a Persian rug is by determining from what country they originate. Persian rugs derive their name principally from the ancient Persian Empire, which dates back thousands of years. Though the borders have changed over the centuries, today’s Persia is known as the country of Iran. 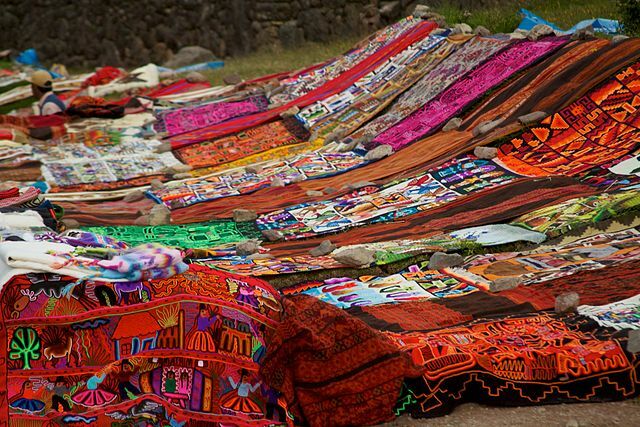 However, there are also a number of nomadic tribes who also make rugs in this category outside of Iran, which includes areas of Pakistan and neighboring countries. Oriental rugs, on the other hand, are manufactured in what are considered “Eastern” countries, such as China, Tibet, India, Egypt and much of Turkey. Another stark difference between Oriental and Persian rugs is the way the rugs themselves are knotted together. Though authentic carpets and rugs are both produced on looms, Oriental rugs are tied using a symmetrical Ghiordes knot, whereas Persian rugs typically utilize an asymmetrical knot, known as a Senneh knot. The Senneh knot is the more precise of the two, and is often found in countries that have practiced this type of knotting for thousands of years, which includes Iran and Pakistan; however, you may see this type of knot in finer rugs emanating from India, China and Egypt at times as well. It usually denotes a carpet which has been painstakingly manufactured during a period of several months to over a year. While there are some common materials used between the two types of rugs, depending on where it was produced and the artisan, Persian rugs are typically made from various types of wool, though there are sometimes cotton iterations available on the market as well. The most popular types of wool used in antique Persian rugs are camel hair wool, Kork wool and Manchester wool, with many rugs of today being made of silk blends, mercerized cotton and olefin, the last being a synthetic fiber. Compared to Persian rugs, Oriental rugs have a higher probability of being made from silk, which makes the carpet highly valuable, but also less durable than wool. Oriental rugs also tend to have higher concentrations of cotton being used in their threads, essentially making them less valuable to collectors, and more susceptible to damage or dye deterioration. Even with the differences between Oriental and Persian rugs, one thing is certain – the most important part of owning a rug is selecting one that works for you and your décor. In fact, you may already own the perfect rug, and all it requires is a thorough cleaning or some restoration in order for it to be a remarkable piece once again. If you don’t, however, be sure to browse our inventory or visit our showroom to find a rug you can be proud of.